The four-woman K-Pop group BLACKPINK has seen a monstrous rise since their debut in 2016, with the video for their song “DDU-DU DDU-DU” becoming the fastest K-Pop music video to reach 500 million views on YouTube. 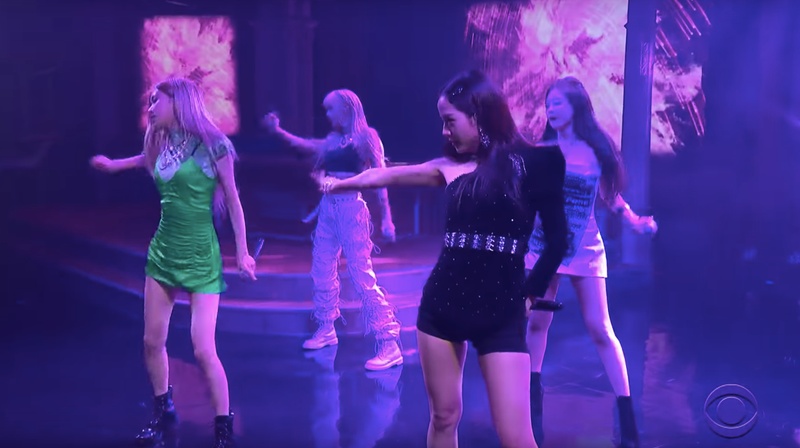 Perhaps one of the most recognizable K-Pop groups worldwide, BLACKPINK made their U.S. TV debut on Monday night’s episode of Stephen Colbert. The aesthetics of a music video like the one for DDU-DU DDU-DU—which includes members hanging off chandeliers and dancing in warehouse engulfed in flames—don’t necessarily translate to the small stage. But K-Pop fans need not fret! The group also announced a North American tour in March and April, which will include an appearance at Coachella, the first ever in history for a K-pop girl group.